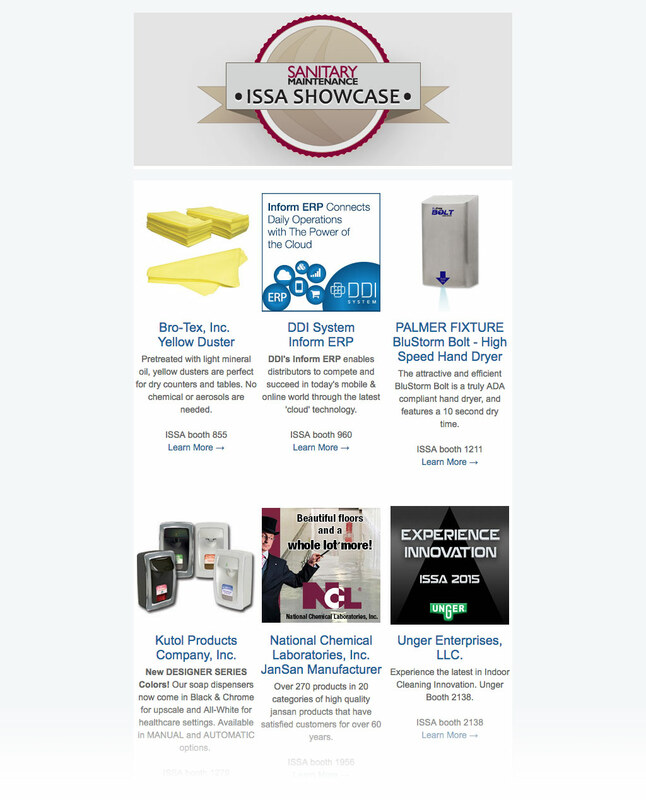 The ISSA Product Express Email is an easy, direct way for you to increase booth traffic and set show meetings for the industry's largest live event. 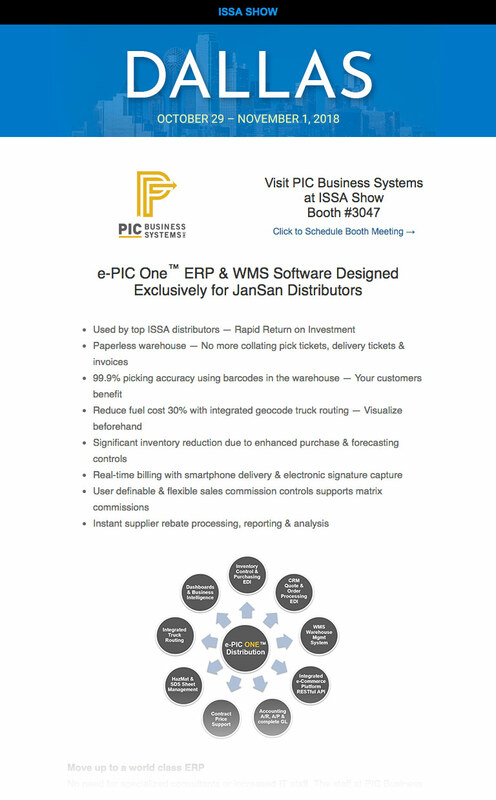 This email is sent to 67,000 industry professionals prior to the show and includes your logo, booth number, sales message, photo and an auto-scheduler button that connects customers and prospects directly to you via email. Recipients learn about your offerings and are presented with an opportunity to schedule a meeting with you at the show. You will get the contact name, address and phone number of everyone who clicks on your link. Limited availability — Act fast! Provide a 50 character subject line for the email. Subject lines longer than this may get cut off. Sanitary Maintenance can help you achieve your best show yet! With the ISSA Product Showcase Email, your booth number, product photo and description is broadcast to 16,000 distributors just before the big event. This is your opportunity to market to them when they're formulating show plans and deciding which booths to visit. At the ISSA Show, it's all about having a busy booth, don't leave it to chance. Simply provide a product photograph, the product name, your company name and a link to the product specific page on your website. Low-investment with high visibility. This is a marketing tool that gives exceptional exposure with distributors who are ready to talk and buy.